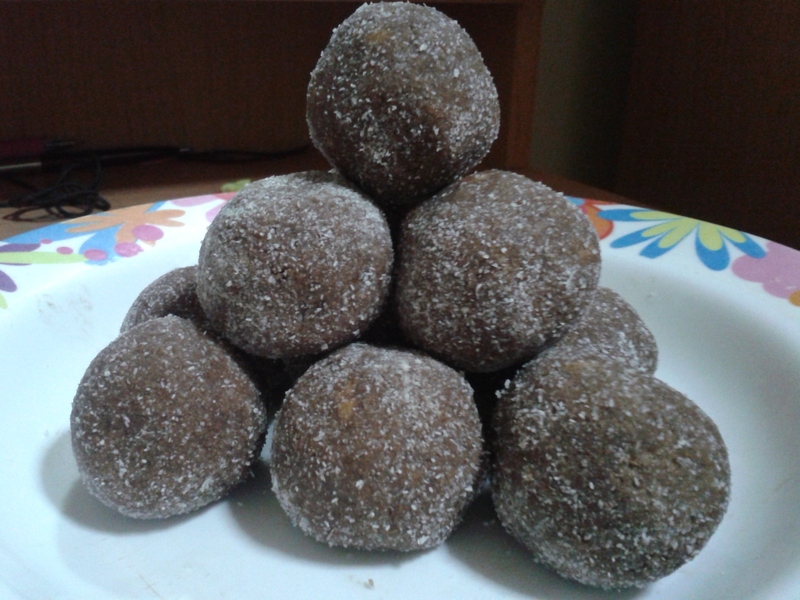 Last year, I posted this recipe for almond protein balls. In that post, I wrote about why I eat them and how effective they are in my diet. When eaten before training, they provide me with enough slow-releasing energy to keep me going for the whole session without filling me up too much (I tend to find it uncomfortable to train after I’ve eaten). I also eat them after training as they help me to avoid crashing, which is often a problem for me (I am quite partial to a post-training nap). The original recipe was actually a little more complicated than it needed to be and required the use of a blender. It got a bit tiresome to have to do it every week, so I tweaked it slightly and am now using this simpler version. Aside from the ingredients, all you need to make this one is a bowl to mix everything in and a spoon. That’s it. I should also mention that some of the ingredients are a little hard to find in Thailand. Coconut flour and flaxseed in particular, are hard to come by. After much searching I found some health food stores where you can buy lots of delightful things such as these. Two stores that I frequently use are Sunshine Market and Radiance Whole Foods, which are both excellent. There you have it, super easy! This entry was posted in Training and tagged recipe. Bookmark the permalink. You can substitute Basil Seeds for Chia Seeds. They are from the same family and have the same nutritional benefit. Basil seeds are everywhere in Thailand (the same stuff they sell off of carts even mixed in with warm soy milk) and may I add, significantly cheaper! Also, iHerb.com is a good resource, too. And they deliver to Thailand for USD$4 flat. Thanks for the comment! I have never thought about using basil seeds before, thanks for the tip! I will look into it!